and fright trembles in a small dry laugh. Under the red unseeing wall. She waits for news of her son in prison. So many wait with her. 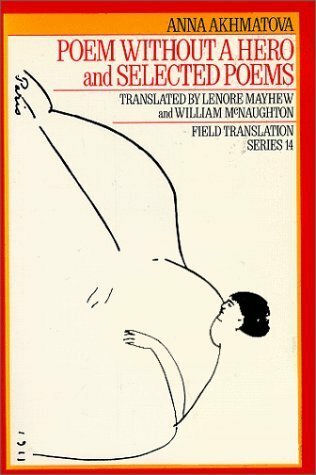 I love Akhmatova (1889-1966), know there is so much that can’t be translated. Langauge, of course. But meaning also, because of this very specific kind of writing which means probably that me, here, now–I can never read most of the meanings she intended. Objects, events and characters have been omitted. We feel their existences [though ‘we’ don’t always, because this is not our context] but can’t find them on the page. The images that are there, however, have a strange aptness to this missing context … Acmeism. The explanation we like best is that the Acmeist poem is supposed to be like the tip of an iceberg. Only one-tenth of its mass juts out of the water, but the submerged nine-tenths is also present. It looks as if all of Russia has divided into the Akhmatovas and the Mayakovskys. There is a gap of thousands of years between these people. And they hate one another. Above the silent communal graves.